After looking for so long to find a Yorkie, we managed to spot on of Terri’s posters at a Vet Clinic. From the first time I saw those Yorkies in the poster, I knew she was a good breeder. Terri’s Yorkies are just way too cute and energetic. When my boyfriend took me to Terri’s house to see the puppies I fell in love with them. Terri’s is such a good person with a big heart and I respect her very much because she knows how to love and care for her Yorkies. All her Yorkies looked very happy and healthy. My puppy’s name is Athena and she is adorable. She loves to jump around and run like crazy. She is very smart, healthy, loved and spoiled. Everywhere we go we always get compliments in regards to Athena. If you are looking to add something special to your family , look no more! Terri’s Yorkies will sure make and excellent addition to your family and you will have no regrets. We adopted Ozzye (aka Pee Wee) from Miss Terri and we are so pleased! He is a beautiful Parti-Yorki and has the best personality. He loves everyone that he meets and plays and plays until he wears completely out. He fit right into our family with five children, eight grandchildren and numerous friends. He is the utmost specimen for a parti. We are so fortunate that we found Miss Terri and her special yorkies. She breeds and raises these babies with the best of care, love and devotion of any breeder that I have had contact with. I hope to soon adopt another baby from her. Thank you Terri for trusting us with one of your beloved babies! After having Ozzye for a year we decided that Ozzye needed a playmate. As luck would have it Stella had just had another little puppy and this time a girl. So we now have Lizzy added to our family. Sophie has been a great addition to our family! Terri was very heplful,knowledgeable, and kind when it came to picking out our first Yorkie. She truely cares and does everything she can for the Yorkies. This was a great experience and we recommend everyone that is interested in a Yorkie to get in touch with her. After living alone for several years, Bentley came into my life! He has made me sooo happy – he is loving and funny and such a delight!!! Now I am seriously considering buying a playmate for him and I would never buy from anyone but Terri!!! As soon as I saw my little Harley, I knew she was going to have a place in my heart forever! Terri and I talked for 2 weeks before I decided that I was ready for a Yorkie. She has been so helpful and honest! We got to see Harley\’s parents and we were allowed to interact with all the other dogs! Harley is a happy healthy puppy and I made the right decision getting a Yorkie Licious Yorkie!!! We picked up our newest family member yesterday from Terri. she is a happy healthy puppy. Terri’s set up for her Yorkies is amazing! all the dogs live like royalty! they are her family, not just dogs. she has answered all my questions I have asked, she is very knowledgeable and I appreciate that. Our whole family loves our newest member, Petey. My husband picked him out and Terri had him on a plane shortly after. He arrived safe and sound with a crate full of goodies. He just fit right in our family. You could definately tell he had been well taken care of and spoiled. Everywhere we go people want to know where we got such a beautiful puppy! I just wanted to thank Terri for my beautiful baby girl girl Whitlee!! She is the sweetest and most beautiful little yorkie. This little sweetheart follows me everywhere, literally from room to room. Terri is an amazing person and takes true pride in her babies!! When you purchase from Terri, your getting a really beautiful, healthy and loving puppy. Whitlee arrived all the way from Texas to New York happy healthy and well adjusted. Terri is also wonderful to talk to, she goes above and beyond her duties of selling a puppy. I have called her several times with questions, and she is alway there to help and if she can’t answer my questions she will refer me to her vet. So if your interestd in one of the puppies you see on www.yorkielicious.com you won’t regret it, you will be getting a loved and well cared for puppy. Thank you again Terri for my sweet Whitlee. Hugs and kisses from Whitlee. After losing my beloved Yorkie, I was looking for another little girl to love. I looked online, looked in my town, drove to other towns and finally flew to Lubbock to see Terri’s dogs. The search was over! I found my Daisy waiting for me. In the process of my search, I found that many breeders are reluctant to let you see any dog except the one that you are interested in. I wasn’t even allowed to meet the parent or parents at some breeders. At Yorkielicious, Terri is happy to show you all of her dogs and where they live and play. She is proud of her dogs and she should be! I met the entire group and they were happy, healthy and social. This was very important to me because my previous Yorkie was very unhealthy and frail. Terri’s dogs were so special and I would have been happy to own any of them. terri is great to work with, too! she is more than willing to talk and work with you. We loved Princess since the day we picked her out for our daughter as a Christmas present (from santa). On Christmas day my daughter Yesse was so excited when the doorbell rang a Yesse was there in her crate. Terri has taken the time away from her family to deliver Princess. Terri expained that Princess still need to spend a few more weeks with her momma but that she wanted Yesse to visit whenever she wanted. Terri has given us a Yorkie that is well raised with feeding and potty trained. We have been very pleased with our Yorkie it is like having a new baby in the house because she is so tiny. We are going to enjoy her very much. 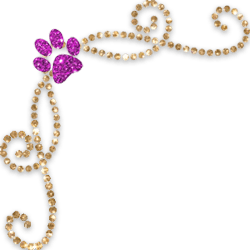 Since Princess was for my daughter I am thinking I am going to need one for myself if my hubby approves…heheheh…Thank you Terri for giving us such a wonderful and well trained Yorkie!!! We love her soooo much!!! This was the best experience I have ever had when buying a puppy. Terri takes wonderful care of her dogs and puppies. Being able to visit the puppies at her beautiful home you were able to experience the warm and loving environment in which these dogs are raised. 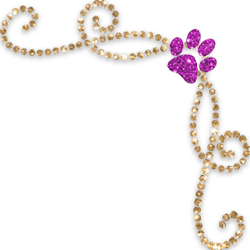 Terri’s experience and knowledge as a breeder were shown in her attention to details involving the clipping of the tail & ears, timing of shots, and advice she gave involving the raising of your new family member. Holly Faye is doing great, she is exactly what I was looking for we love her dearly. I just got Frasier over the weekend,i had met him a couple of time before and visited him at Terri’s house. She has and amazing breeding facility with great stock to breed from. She has a very clean and well maintained facility and all the dogs are healthy and well taken care of. Frasier is an amazing dog with a great personality and is very playful. He is very content and fits right in very well Frasier is a very healthy and happy Yorkie. he has already taken control of the house and prances and thinks he is the boss. I am very thankful for Terri and her care for him before he came home. Once Frasier gets a little older, I hope to get another one. Thank you so very much, Terri. There are just not enough words to describe how much my family and I love Phoebe. when I first saw a picture of Phoebe on Terri’s website, I knew that she was for me. my husband and I drove late one night to get her. I didn’t want to be without her a minute longer. Terri welcomed us into her home with open arms, and answered all of our questions and then some. Terri’s Yorkies are not just dogs to her they are her family. I could tell this by how she cares for them. this is exactly the kind of breeder I wanted to get my addition from. Phoebe is going to be needing a playmate soon. I will not go anywhere else except to terri for my next bundle of joy. We love everything about our new baby Bruiser. My family and I have been looking for a puppy for a few years. A year ago I talked with Terri a few times about a Yorkie. She gave me so many tips about what to watch for in other breeders without being negative. She was right! Most wanted to meet in a parking lot, were unwilling to allow us to visit the puppy at their home. That was a pretty big red flag. A year later I called Terri back and visited a new litter of puppies and fell in love with our baby Bruiser right then. Through the whole process Terri has answered questions and let us visit whenever we wanted until Bruisier was ready to come home. She even kept us updated by text on his progress. We just recently brought him home and already love him so much. He has been so well care for an loved before comeing to us. It shows in his sweet personality and spirit. Thank you Terri for connecting us with our baby boy!! Terri is an amazing breeder who is passionate about Yorkies!! When we decide to adopt Fergie from Terri we were greeted warmly and all of our questions were answered. The environment in which each of hr dogs is raised was immaculate, and it is obvious that she truly cares about all of the puppies she raises. We were so delighted with Fergie that we eventually ended up adoptig Olive and Trixie as well. We call them the “three musheteers” and can’t imagine what life would be like with out them. I recently got my little Cody and Mya from Terri. She is absolutely the best breeder. She has great quality yorkies. She treats them all with tender loving care. The puppies adjusted well to a new home with no trouble. Terri takes very good care of them and the potential new parents. She made the process so easy from beginning to end. She was very responsive to all questions throughout the process and after we took them home. Thank You Terri for an awesome experience and two beautiful puppies. Terri is an awesome and kind breeder with great Yorkshire Terrier bloodlines. Actually her yorkies are her babies and she cares for them as if they were her children which results in “social” puppies. Her facilitiy is clean, safe, healthy and joyful. I have known Terri for years and have two of her Martini & Rossi babies; Cheyenne and Phoebe which are my precious treasures. They are part of our family and bring great joy to our home. It is hard not to spoil them. When I took Cheyenne home as a puppy, Terri provided me with a crate, a puppy blanket, food and advice for a new puppy. My precious Phoebe joined us three years later and they play and keep each other company, they are so fun. Terri has always been available to answer any questions I might have and I am grateful that she is knowledgeable and honest with her advice, before and after any adoptions. 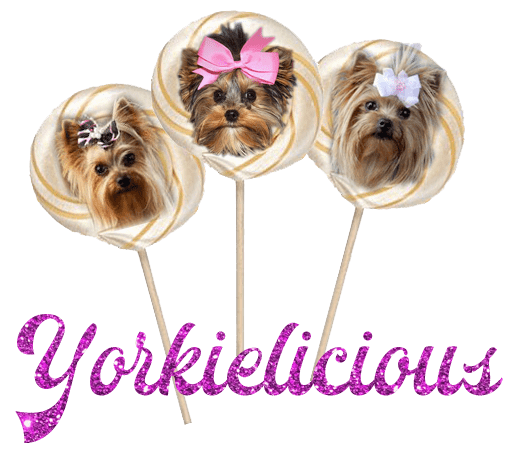 I highly recommend Yorkielicious to anyone considering a Yorkshire Terrier.